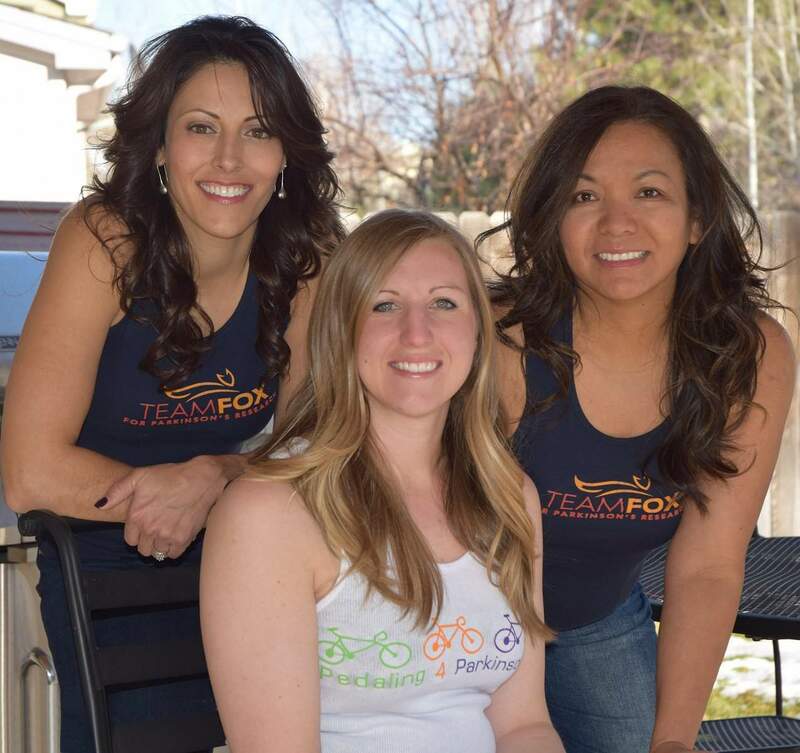 We are three Denver area women, Laura Fiske, Lauren Williams, and Jackie Williams, united to help find the cure for Parkinson’s Disease. A big part of our motivation comes from some inspirational dear friends, who have experienced Parkinson’s Disease, but it goes beyond that. We have participated in other charitable events in Colorado, and wanted to start something here that would help Parkinson’s patients everywhere. We love biking, and it has recently been discovered that Parkinson’s patients can benefit greatly from bicycling therapy, so this seemed like a natural fit. Since we began this project, we’ve learned of many of our friends and family whose lives have been touched by Parkinson’s Disease. Whether or not you have experienced the challenges of the disease, we hope you’ll join us in fighting for a cure!